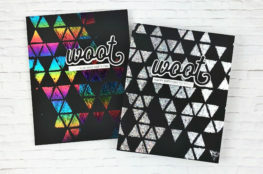 Hi there, crafty friends. 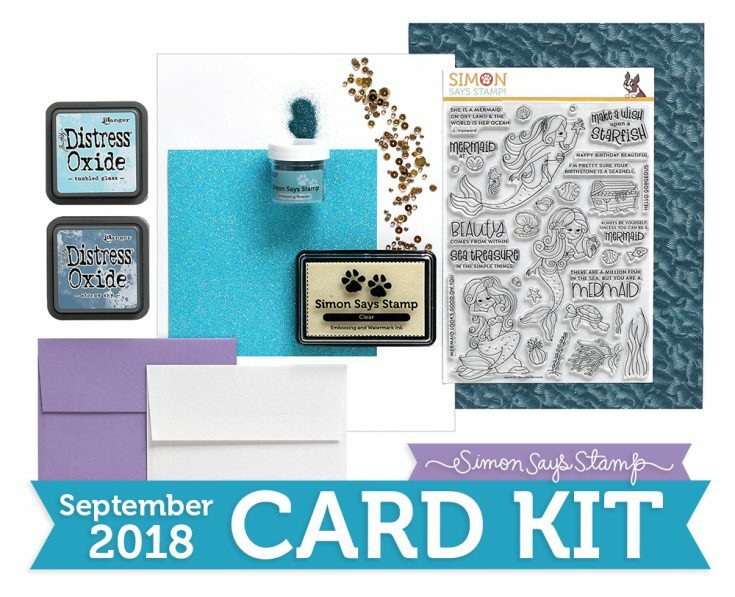 THIS card kit from Simon Says Stamp is now available and I loved the kit so much that I will be sharing inspiration using it every day this week. 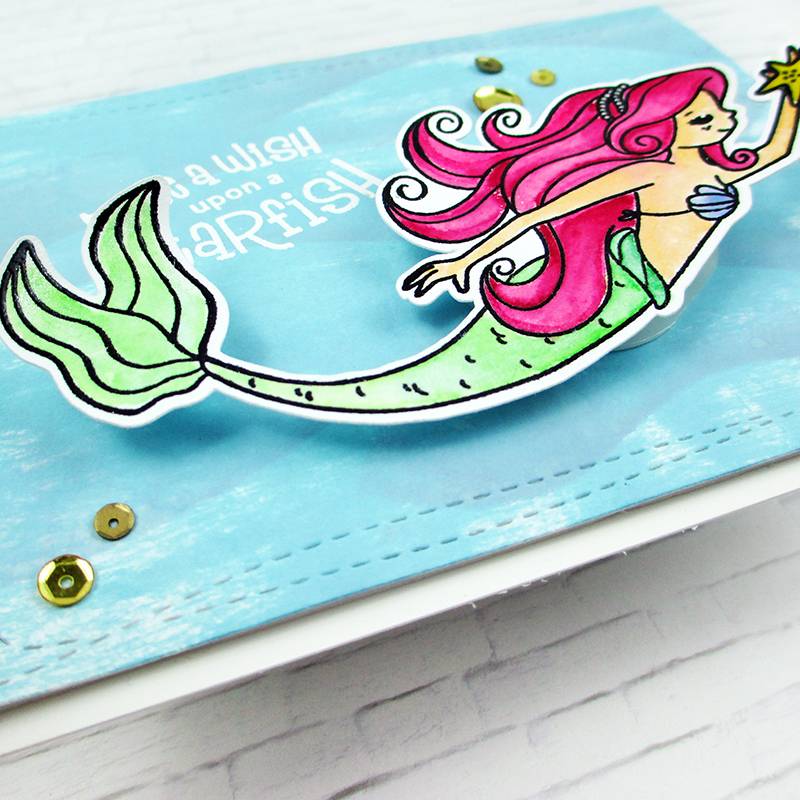 I started with the background and used both inks that are included in the kit. I swiped the Tumbled Glass Distress Oxide ink on to a piece of white card stock, almost covering it entirely but leaving a few white streaks. I created some waves on top with the Stormy Sky Distress Oxide ink and THIS stencil. 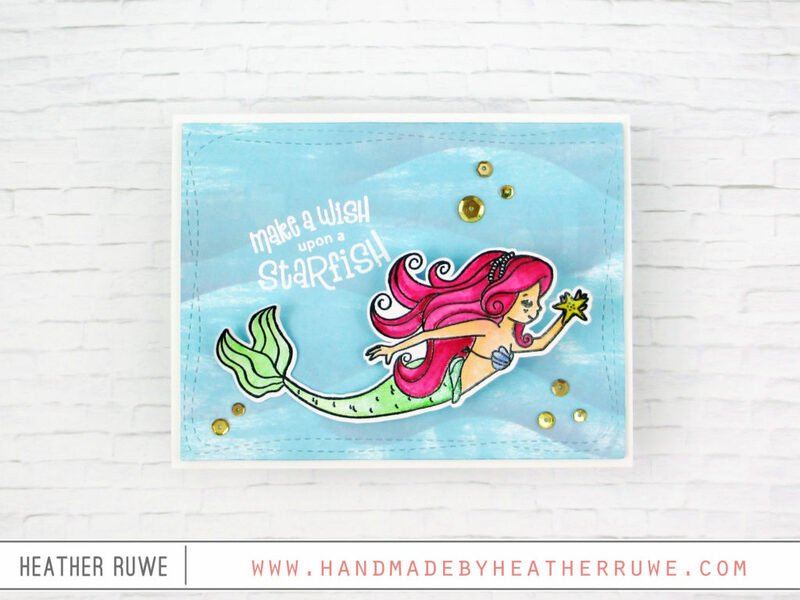 I dried it with my heat gun and die-cut it with THIS die to add a faux stitched border. I also white heat embossed a coordinating sentiment. 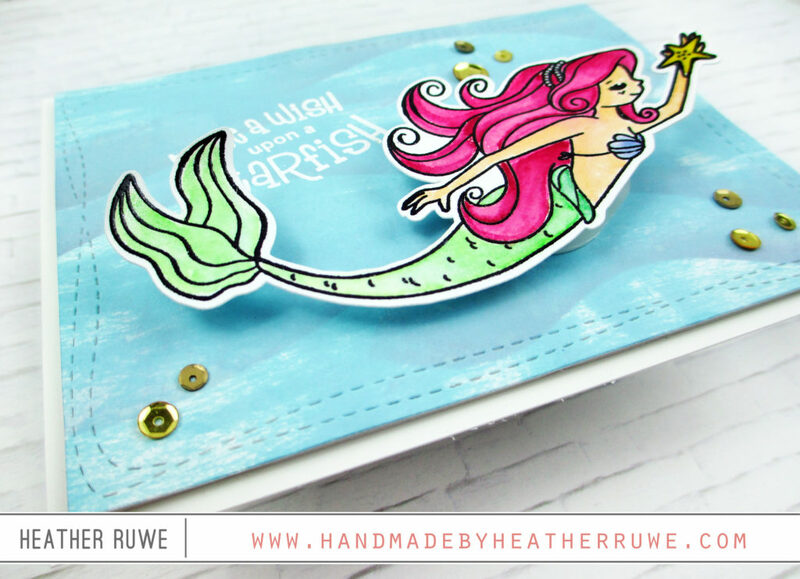 I stamped, colored, and cut out the mermaid image from THIS stamp set, that is included in the kit. I used THESE watercolors to color it in and adhered it to the background using one of THESE. It gives the illusion that she is swimming. 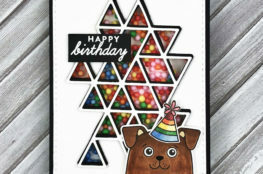 I finished off the card with some of the kit’s gold sequins and adhered the background to one of THESE cards. 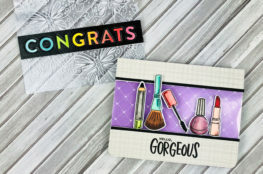 You can find out more about the card kit HERE. Thanks for joining me and happy crafting!